The best actor never gets the role. But the right actor always gets hired and if you want to be the right actor, you need to create a well-paved pathway through the traffic jam that can slow you down, divert your attention and create stress behind the wheel of the career you're committed to driving forward. 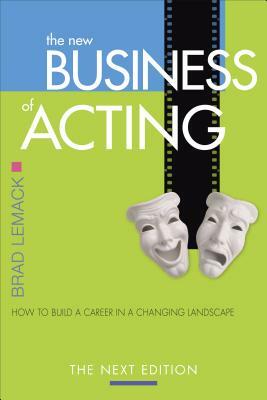 It's your journey and it's time for a career tune up, even if you're just starting out In this revised and expanded Next Edition to his popular book for actors, talent manager, educator and author Brad Lemack tackles the tough challenges actors face in seeking, building and maintaining rewarding careers in the new landscape. From the role of personal ethics and integrity to landing the role of a lifetime, Lemack teaches readers how to navigate through and thrive in a continually changing landscape in an industry challenged to redefine itself and how it does business. Whether you're new to the business or in need of a professional career rebranding, The New Business of Acting: The Next Edition will empower you with a critical perspective on how to create, map out and embark on a life-long journey that will earn you the career-building opportunities you seek.